Topra Troja Forearm Walker Easy To Manoeuvre. This is a Topro Troja Walker with the additional Forearm Supports already fitted. If it is quality you are looking for then look no further, not many companies put a 5 year warranty on their products, that's just how confident we are in the build quality of the Troja. The Troja is the ORIGINAL Rollator from Torpo, often copied but rarely matched for style and quality. Produced and assembled in Norway we are happy to be able to offer a next day delivery in almost all instances for this product. The Troja is available in three sizes, Extra Small, Small and Medium. In most cases the Medium size will be most suitable as it is designed for height ranges of 4ft11"-6ft1", for shorter or smaller people the small or extra small may be more suitable. If you are in any doubt please feel free to ring us or pop into our shop and have a try. 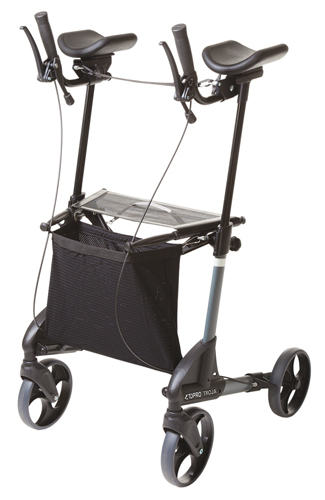 The Troja on its own is a fantastic walker but the range of accessories makes it stand head and shoulders above the competition from similar styled walkers. 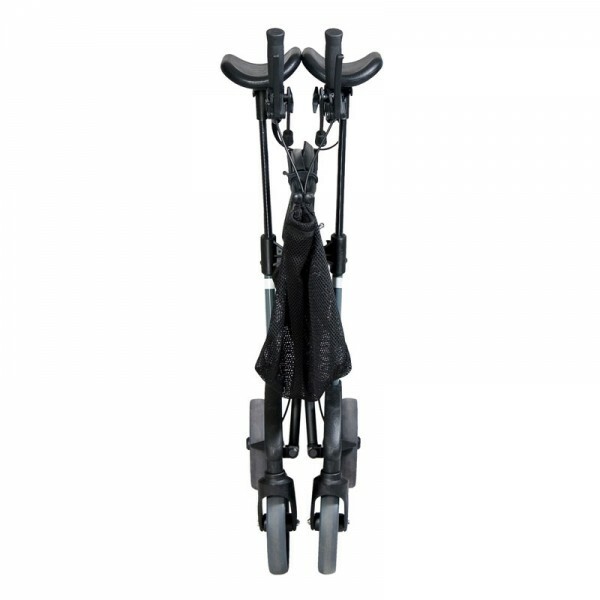 This walker was just what I needed as I have a severe spinal problem, and very quick delivery and excellent quality product .